The River Avon meets the Stratford Canal at the canal basin in the middle of the Bancroft Gardens, opposite the Royal Shakespeare Theatre. 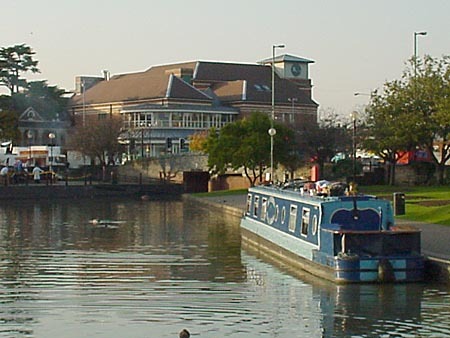 The canal was started in the late 1700's in order that Stratford-upon-Avon businesses could capitalise on the newly expanding canal network across the country. For the first half of the 19th century it was highly successful, but like the canal network in general it was overtaken by the new railways being developed. Slowly the canal became disused and eventually silted up. In the 1960s it was restored for pleasure use. North from Stratford the canal rises through many locks on its way to the Grand Union Canal. The canal cuts its way through beautiful rural wooded countryside of Warwickshire, passing though a number of split bridges. It's one of the classic old chain ferries, of the winding manual type. Built in 1937 it was the last of its sort to be made and used in Britain. 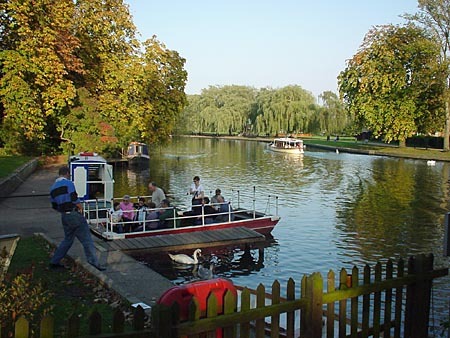 The Ferry takes you from the Dirty Duck side of the river Avon to the other side which offers you the a peaceful waterside walk where you can visit the Butterfly Farm and have a Mexican meal at Cafe Sol. The Ferry charge is 20p. 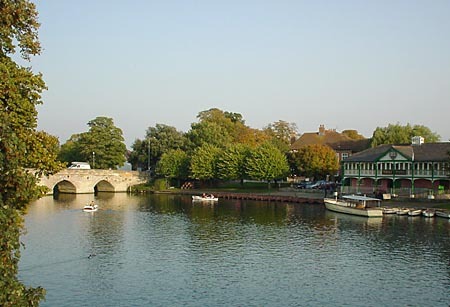 Down by the Waterside, near the RSC, you can relax after your hectic walkabouts. 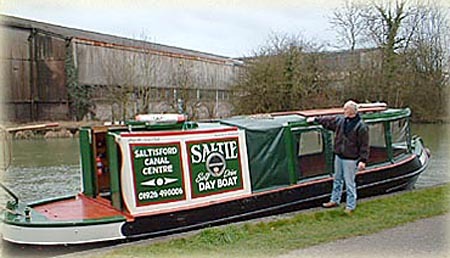 Saltisford Canal Centre is a great place for an outing. 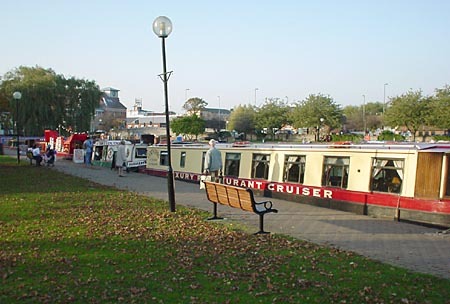 The Canal centre provides a pleasant green haven near the heart of Warwick, which is open to the public from 8.00 am to 7.00pm daily.